As the Mat Whitecross film is aired on UK TV, we look back at what makes the music documentary so great. Supersonic was aired on UK telly for the first time over the festive season, so we've decided to look back on what makes it so blimming awesome. 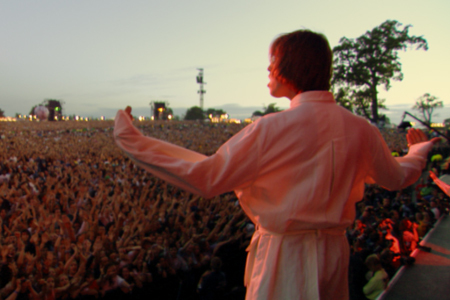 Directed by Mat Whitecross and executive produced by Asif Kapadia (Amy, Senna), Supersonic is a treasure trove of rare clips, recordings, anecdotes, tall tales and the odd barbed comment as it documents the rise and rise of one of the greatest bands of all time. 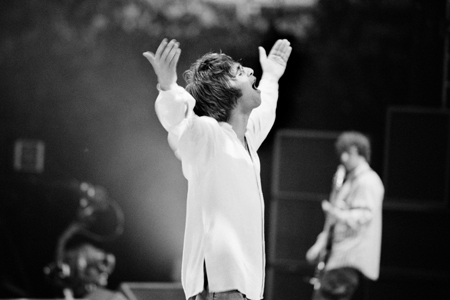 Kicking off in 1991 when Oasis first formed and climaxing with their huge gigs at Knebworth in 1996, the documentary tells the story of the turbulent relationship between Liam and Noel Gallagher. 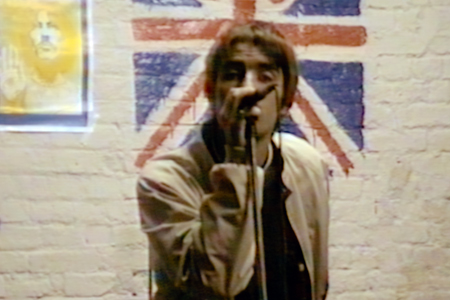 With unprecedented access to the band members and some incredible unseen footage, it’s the definitive story of Oasis - and also one of the funniest films you’ll see all year. Plus, you'll find out some incredible stories about Liam, Noel and the rest of the band along the way. Here are just a few of the excellent Oasis facts you’ll find out - without any spoilers, of course! Why was becoming interested in music a painful event for Liam Gallagher? One of the most revealing things we learn in Supersonic was that Liam wasn’t at all interested in music… until a fateful event suddenly changed things… But it wasn’t without some personal injury to Liam himself. A poster of which famous Manchester band gave Oasis their name? We all know that the band’s name came from a leisure centre in Swindon, but which other famous Manchester band played there, leading to a gig poster that inspired the young Gallaghers? Who is the spirit of Oasis, according to Noel? Answer: it’s not the first person you’re likely to think of. What did Guigsy prefer doing to being in Oasis? 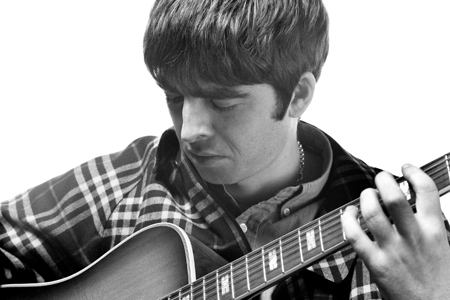 In the film, Noel lists a number of things that bassist Paul McGuigan preferred over being in Oasis. In fact, being in Oasis was probably Number 5 in his list of priorities. Why wasn’t Bring It On Down the debut Oasis single? Although it appeared on the classic debut album Definitely Maybe, this old favourite was almost the song that was going to introduce the band to the world. Until an utterly mundane reason caused them to cancel the idea. 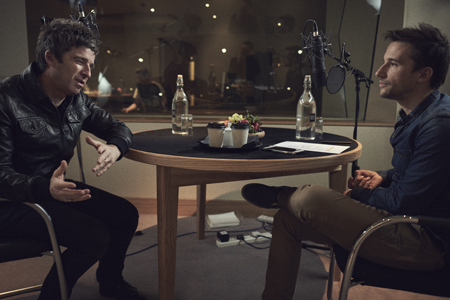 Which classic Oasis song did Noel write in the time it took six men to eat a Chinese meal? 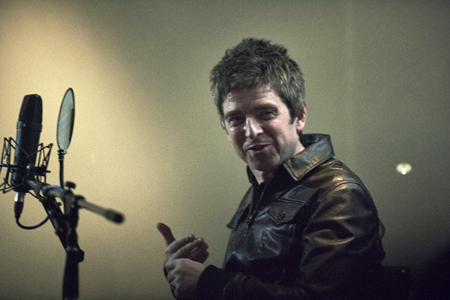 The documentary proves that (for the most part) Noel is an ocean of calm in a crisis. Faced with having to come up with a killer single, a dinner break leads to one of the all-time great Oasis tracks. Which member of Oasis is a “cat” and which one is a “dog” (who wants all the attention)? One person in the film describes the band’s dynamic in terms of very different temperaments. But who is who? 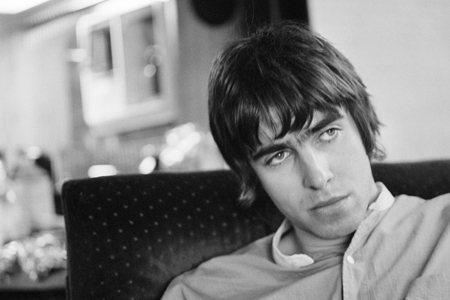 What did Liam do to one of Noel's possessions, which caused their life-long animosity? 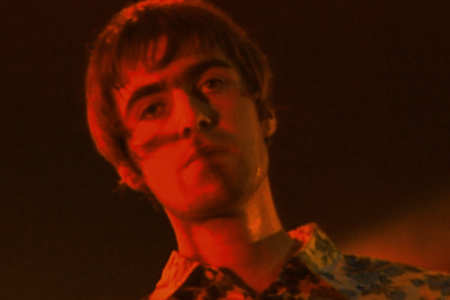 According to the documentary, the roots of the Noel/Liam split all goes back to one childhood incident. You’ll be amazed when you find out what it is. To whom did Liam say: "We’ve come to steal your soul"? The doc details the controversy and the - let’s face it - general argy bargy that followed the band around in their early years. One anecdote almost saw Liam kicked out of a particular country, thanks to his big mouth. Which pastime played an important part in the recording of (What’s The Story) Morning Glory? There’s some amazing footage of the band recording their landmark second album at Rockfield Studios in Wales. Most memorably, you see what an incredible singer Liam is. 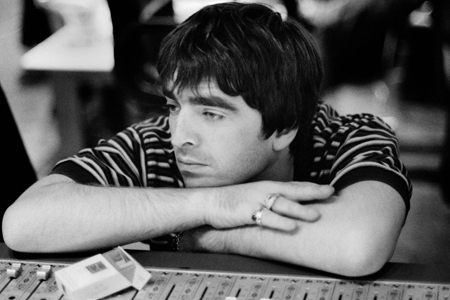 And once he’d finished his vocal takes (usually in one go), he’d wander off, leaving Noel to record the guitars. The film details the chaos he’d cause on his “downtime”. Who does Noel consider to be the "fifth member" of Oasis? 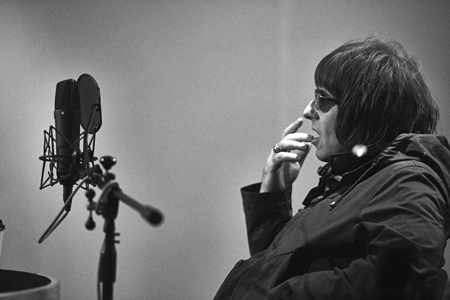 The documentary pays tribute to the people that helped the band in their ascent to stardom, most notably the Gallagher’s mum Peggy and Creation Records boss Alan McGee. But there’s one person that Noel claims is more important to the core of Oasis than anyone else. A particular moment in the band’s career drew a line under the "old days" and these post-millennial current times. And Noel lays the blame for the change in the established order at the very thing you're looking at right now. But where did it all end? 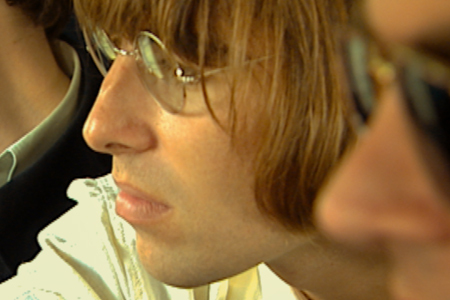 Oasis: Supersonic will air on BBC Two on Wednesday 27 December at 10pm.